Daniamant is proud to present a new high quality Lifebuoy Light to add to its extensive range. Previously supplied and manufactured by Jotron (Part No. 86230). 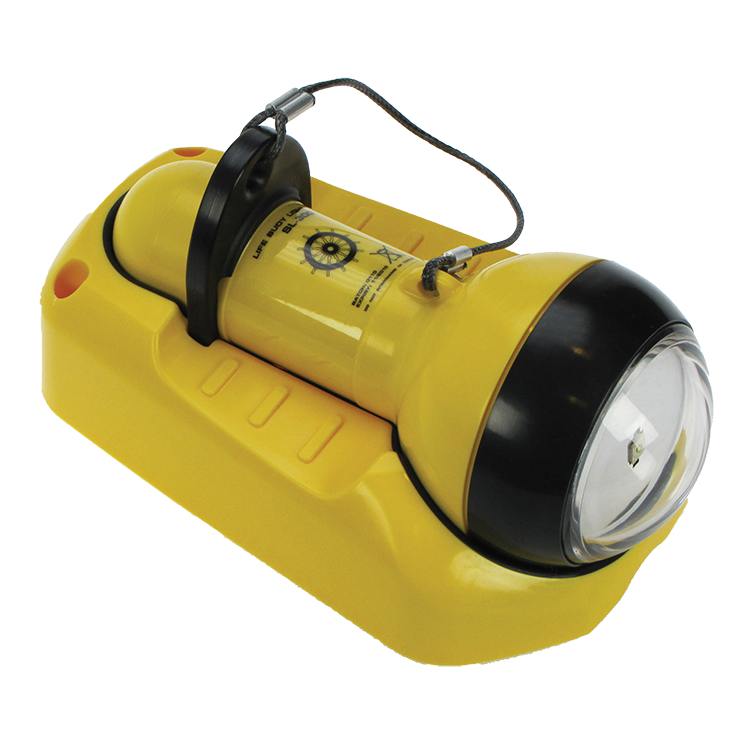 The SL-300 is a standard SOLAS lifebuoy light, similar to the L160 (and smaller L170). In adding this light into our range we aim to offer our Customers more choice in our products in style, aesthetics and functionality. Great products, great pricing and now even more choice. The SL-300 Lifebuoy Light is a high quality, fit and forget, no maintenance product requiring no replacement batteries. This saves time and expense during inspections. All Lifebuoy Lights are supplied with a unique mounting bracket, enabling easy fitting in all locations. The SL-300 Lifebuoy Light has a magnetic interlock to prevent operation when in its housing. All Lifebuoy Lights are using the latest advances in LED tech­nology. They feature very low current consumption and en­­hanced reliability. All our Lifebuoy Lights feature a flashing light. These new lights are exempt from transport packing, marking and labelling regulations under surface ADR and IMDG Special provision 188, IATA Packing Instruction 970 Part 1, making shipping easier, quicker and cheaper.